Chelton Brown are pleased to offer this picturesque two bedroom cottage to market located in the popular village of Weedon Bec. This charming two bedroom, "chocolate box cottage", tucked away in a secluded spot off of Queen Street, is as gorgeous outside as in. Accessible via foot, the property briefly comprises: rustic farmhouse style kitchen with a range of eye-level and base units, gas hob, electric oven, built in fridge freezer and washer-dryer. The lounge is cosy with a beautiful open feature fireplace. To the first floor there is a generously sized master bedroom with built in wardrobes, the second smaller bedroom, and bathroom with roll top bath with shower over. Outside the property you'll find a stunning walled garden with well-established borders affectionately known as the secret garden, further benefits include seating area and a range of storage sheds. Kitchen - 3.15m x 2.50m (10'4" x 8'2") - Charming cottage kitchen with wood effect work tops and a range of units. Gas hob, electric oven and appliances. Lounge - 3.80m x 3.21m (12'6" x 10'6") - Cosy lounge with exposed beams and feature fireplace, neutral decor and views over the garden. 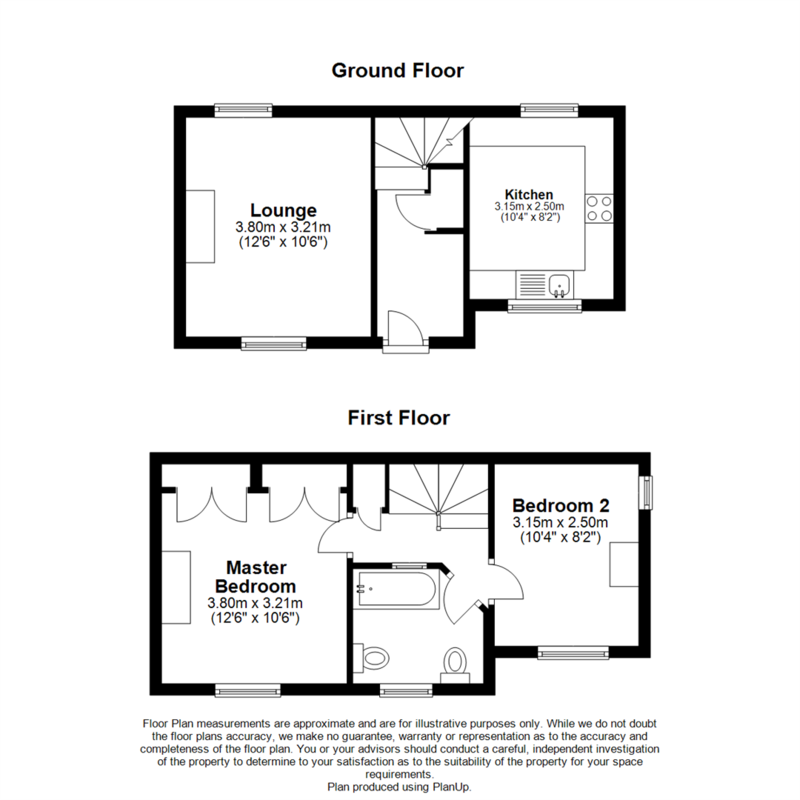 Master Bedroom - 3.80m x 3.21m (12'6" x 10'6") - Window to front, build in wardrobe space and ample space for a double bed. Bedroom 2 - 3.15m x 2.50m (10'4" x 8'2") - Second smaller double bedroom, neutral decor throughout and viewings over the garden. Bathroom - Bathroom with roll top bath with shower over and white suite. Established Garden Close to Local Amenities.